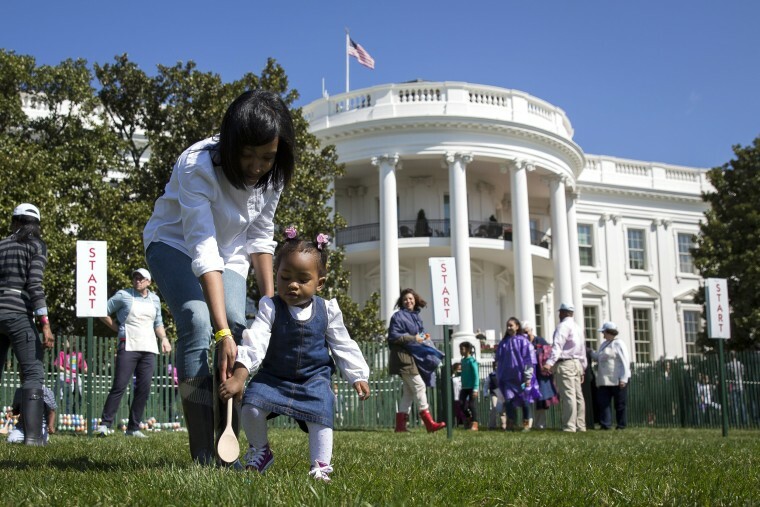 President Obama, the first lady and the Easter Bunny welcomed children to the White House for the final Easter Egg Roll of his presidency. 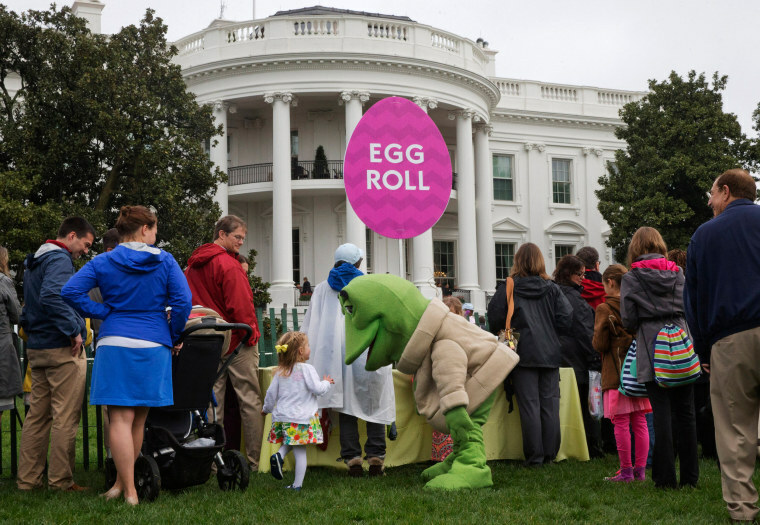 A frog character interacts with a child as they wait for the Easter Egg Roll to begin on March 28, 2016 at the White House. The egg rolling began in 1878. Now the event includes storytelling, musical performances and tips from professional athletes on how to play basketball, tennis and other sports. 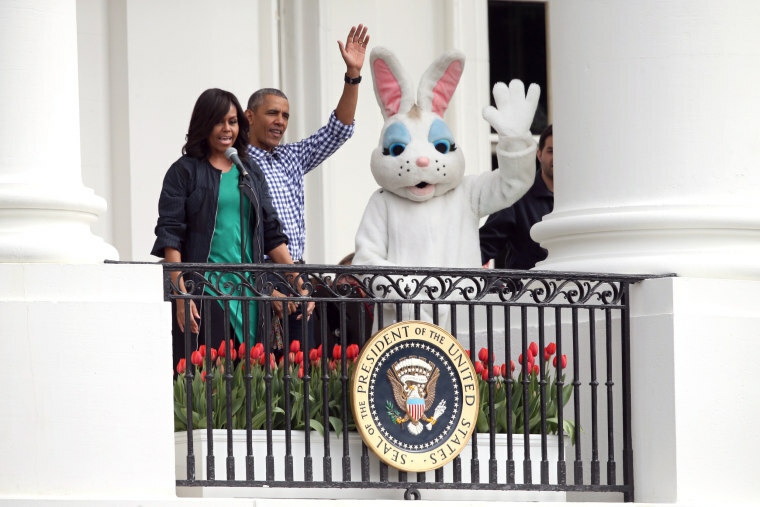 President Barack Obama, first lady Michelle Obama and the Easter Bunny wave from the Truman Balcony of the White House to participants on the South Lawn during the annual White House Easter Egg Roll on March 28. 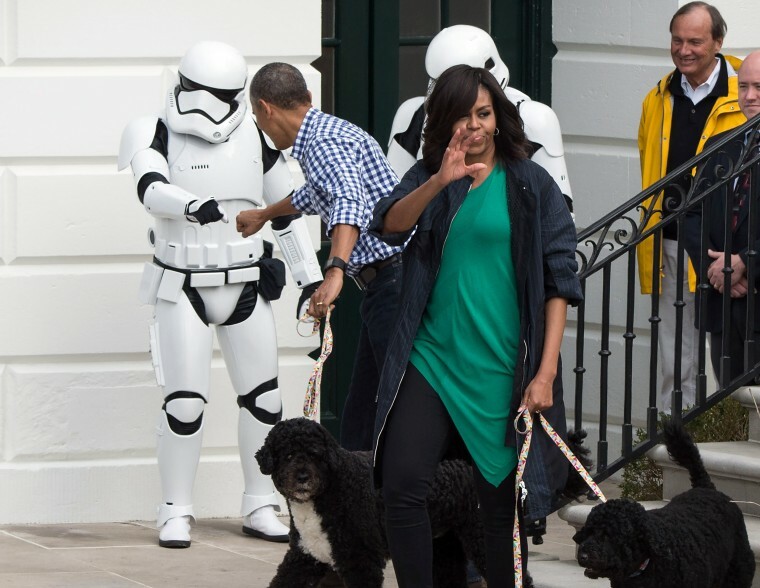 President Obama bumps fists with a Star Wars Stormtrooper as first lady Michelle Obama waves to the crowd. 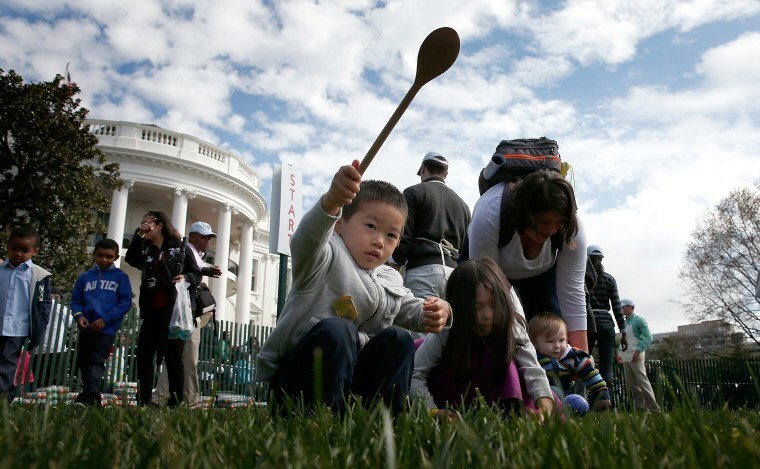 Some 35,000 guests have been invited to participate in the 138th White House Easter Egg Roll this year. 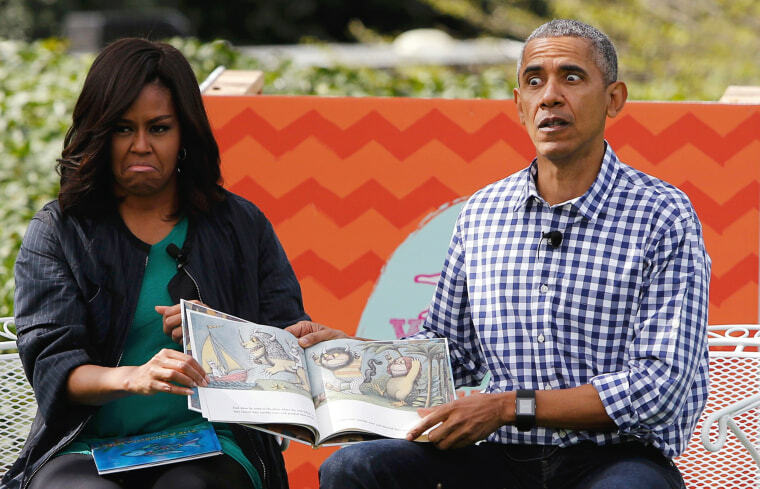 The Obamas read "Where the Wild Things Are" for children gathered on the South Lawn of the White House. 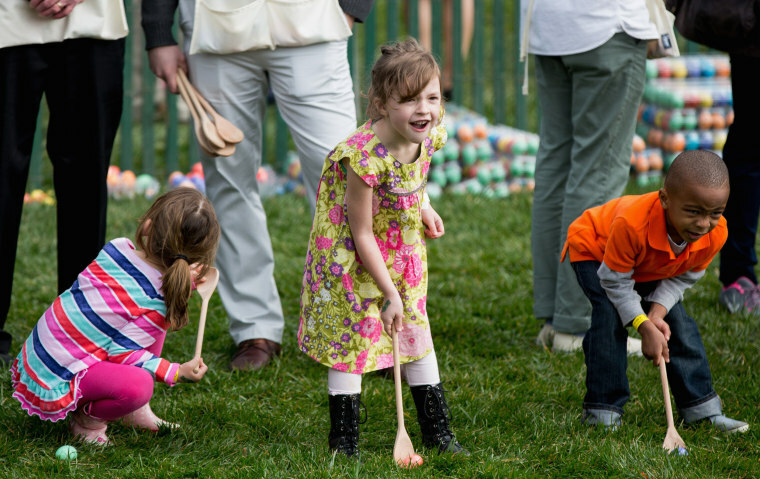 Young children roll Easter eggs. A boy uses a spoon to roll the eggs. 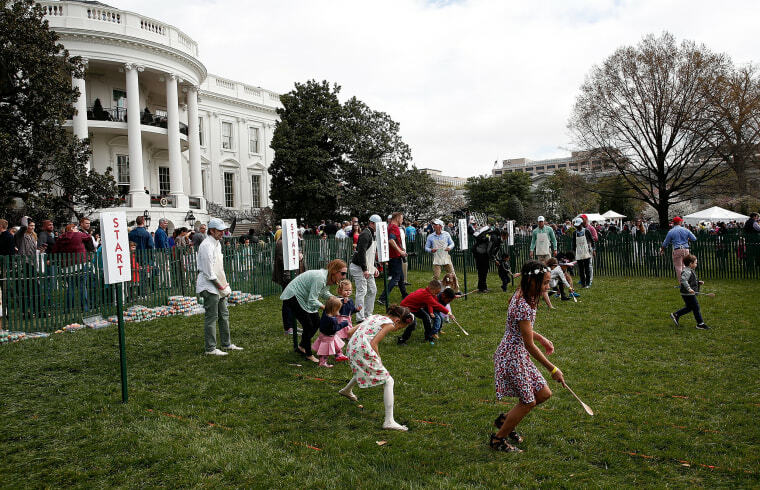 The White House used to use real hard boiled eggs for this event. They have been replaced with wooden eggs since the Nixon administration. 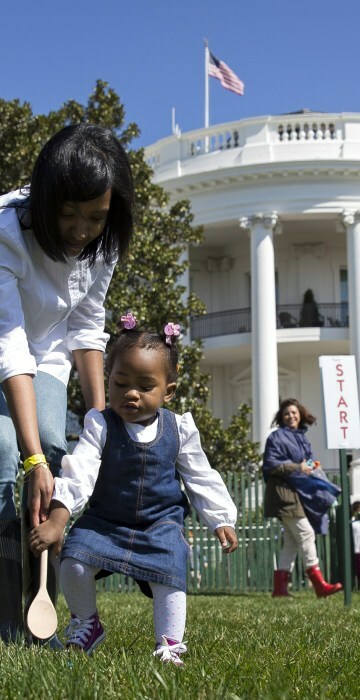 One-year-old Ava Johnson plays a game during the annual White House Easter Egg Roll. Young children gear up for the egg rolling. 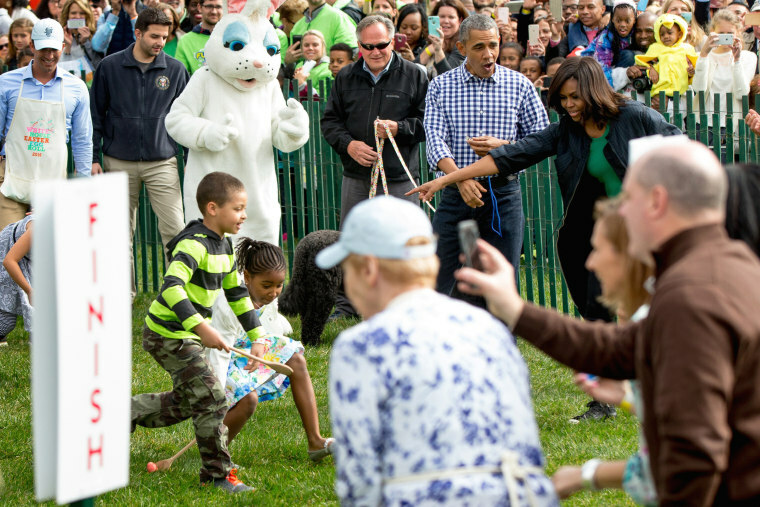 The Obamas and the Easter Bunny cheer children on while they roll the eggs. 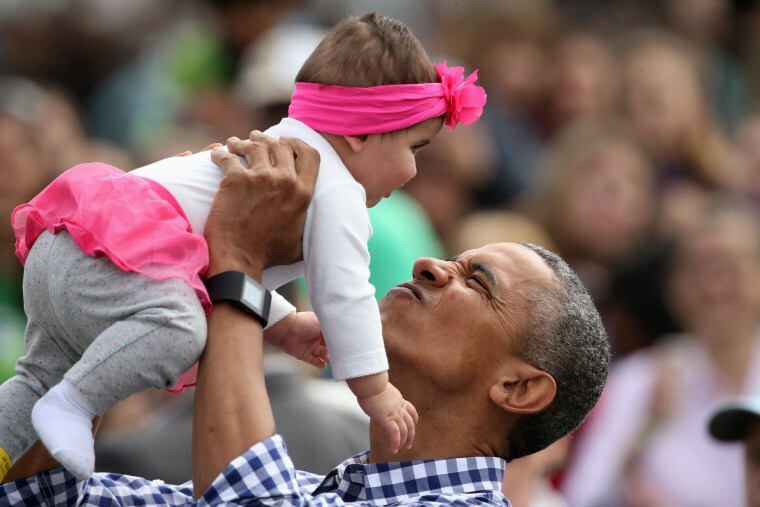 President Barack Obama holds Stella Muñoz in the air.